I am having an issue with the check engine light and abs light fadeing in and out slowly. They only get to about 30-40% brightness and then dim back down. 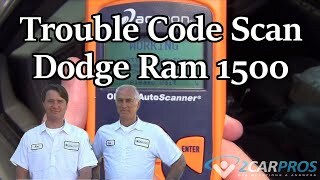 I've hooked up my OBD2 reader and nothing comes up. I've tried replacing the spark plugs, transmission fluid, oil change, and coil pack boots and it still continues to do the same thing. Hello and welcome to 2CarPros. That sounds like you have a problem with the cluster and not with the rest of the vehicle. When you first start it and it runs the bulb test do the lights come on bright and go off as they should? Unfortunately you need to have a good scan tool that can actually "talk" to the cluster to test it and see if it's internal to the cluster or if there is a communication error on the network. When the lights fade in/out does anything else happen with any other part of the car? No, it just seems like they stay fading in and out and when I push the brakes in feels like a warped rotor, but I just redid the brakes. Okay, so they fade on/off in a regular cycle? Does this happen when you just turn on the key or does the engine need to be running? As a test you can go to the under-hood fuse box and look for the ABS module fuse and remove it. If the problem is in the module or related to it the ABS light should change. If it does but the CEL still acts like a disco then it is more than likely a cluster error. Ford uses the cluster to do a lot more than just the gauges so anything can effect them. The attached diagram shows the possible fuse locations depending on the build date. Ford made a few changes depending on model and engine. The cover should tell you which it actually is. 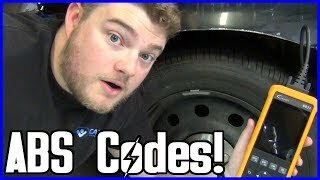 For the brake pulse, I would pull the wheels and then the rotors, clean off the inside of the rotor and the surface of the hub, then carefully tighten the lug nuts to torque and see if it stops, a tiny bit of rust or dirt on that mating surface will cause the rotor to have serious run out at the friction surface.